Two Decades of Partnership in Ava, Mo. The Ava, Mo., location of Emerson Climate Technologies employs, on average, 60 Penmac associates in its year-round manufacturing of scroll compressors. 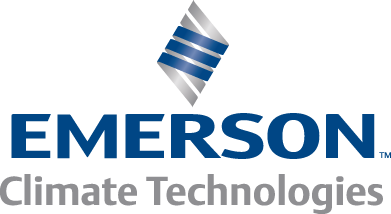 Emerson Climate Technologies is an international organization that is the world’s leading provider of heating, ventilation, air conditioning, and refrigeration solutions for residential, industrial and commercial applications. Emerson Climate Technologies and Penmac have had a business relationship since 1992 when Emerson was operating as a motor plant. During this 20-year relationship, Emerson Human Resources Manager Bill Henry has been a consistent figure and readily available to articulate Emerson’s staffing needs. “In the last 20 years, whatever is asked of Penmac, they get the job done. They are always willing to jump through hoops; no matter what our request is,” Henry said. Henry and Emerson’s Employee Relations Manager Don Hanger, agree that the applicant screening process aids Emerson in obtaining the best-suited employees. “Penmac does a great job of finding applicants to send for us to interview. Its nice to rely to Penmac for our HR needs,” Hanger said. Hanger and Henry are thankful to work with Ava Branch Manager Debra Berry; they both commented how well Debra understands the business operations of Emerson and works diligently to fulfill every order. “I feel it is a privilege to have the opportunity to work with such a great group of people at Emerson. They have leaders that set high goals and then help the associates grow to meet those goals,” Berry said. Emerson employs hundreds of individuals in its Ava location; many of which were previously Penmac associates. “Temp-to-hire is something that we like to do with Penmac folks that are a good fit for us,” Henry said. Berry added that the Ava branch always has a large pool of candidates who are ready to have a wonderful job opportunity with Emerson.